Diana L. (Krzyston) Kress, 78, of Elizabeth, passed away at her sisters’ home, Marcia Krzyston, on Tuesday, August 21, 2018. Born in Elizabeth, daughter of the late Lawrence and Winifred (Tutak) Krzyston, Diana attended Bender Memorial Academy, Benedictine Academy Class of 1958, both of Elizabeth, and Drake Business School. Mrs. Kress was a retired bookkeeper for Braun and Chamberlin LLC of East Orange. She was also employed as a bookkeeper by Summit Elizabeth Bank in Elizabethport and Buie Steel Corp. in Hillside. Diana enjoyed Pocono vacations with extended family and friends, trips to Europe with her best friend of 50 years, Mrs. Barbara Jelagin. 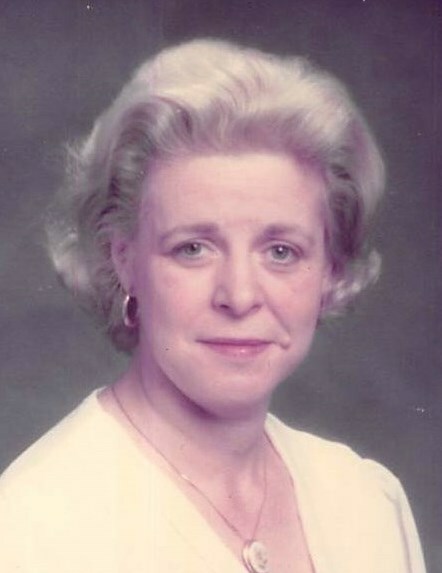 Mrs. Kress was the beloved wife of the late Frank Kress, devoted mother of Adam Kress and his wife Michelle of Elizabeth, loving sister of Marcia Krzyston of Roselle and the late Gregory Krzyston. Cherished grandmother of Frankie Kress and David Lore. Dear aunt of David Krzyston, Katie Kloss and Matthew Krzyston and their families. Visiting Friday, 4:00-8:00 pm. Relatives and friends are invited to attend the funeral on Saturday, August 25, 2018, 9:00 am from Krowicki McCracken Funeral Home, 2124 East St. George Avenue, Linden, NJ (908)352-9190. Funeral mass St. Joseph RC Church, Roselle 10:00 am. Interment Mt. Calvary Cemetery, Linden.